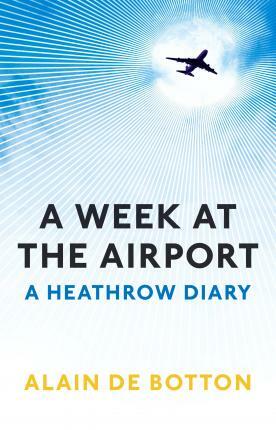 In the summer of 2009, Alain de Botton will be invited by the owners of Heathrow airport to become their first ever Writer in Residence. He will be installed in the middle of Terminal 5 on a raised platform with a laptop connected to screens, enabling passengers to see what he is writing and to come and share their stories. He will meet travellers from around the world, and will be given unprecedented access to wander the airport and speak with everyone from window cleaners and baggage handlers to air traffic controllers and cabin crew. Working with the renowned documentary photographer Richard Baker, de Botton will produce an extraordinary meditation upon the nature of place, time, and our daily lives. He will explore the magical and the mundane, personal and collective experiences and the interactions of travellers and workers all over this familiar but mysterious site. Like all airports, Heathrow (the 15th century village of Heath Row lies beneath the short stay car park) is a 'non-place' that we by definition want to leave, but it also provides a window into many worlds - through the thousands of people it dispatches every day. A Week at the Airport is sure to delight de Botton's large following, and anyone interested in the stories behind the way we live. Alain de Botton is the bestselling author of books on the philosophy of subjects including love, travel and status. He is the founder of The School of Life, an organisation in London for whom he has conducted a guided weekend tour of Heathrow airport.